Welcome to Holy Name of Mary CYO Basketball. Our goal for CYO basketball is for the kids to gain more confidence in themselves, learn the benefits of team play, make new friends and become better basketball players. CYO basketball is open to girls and boys in grades 3-8. The twelve game season runs from November to February with games in either Westchester or Putnam County. Half of the games are at home. Teams practice once a week starting the first week of October. 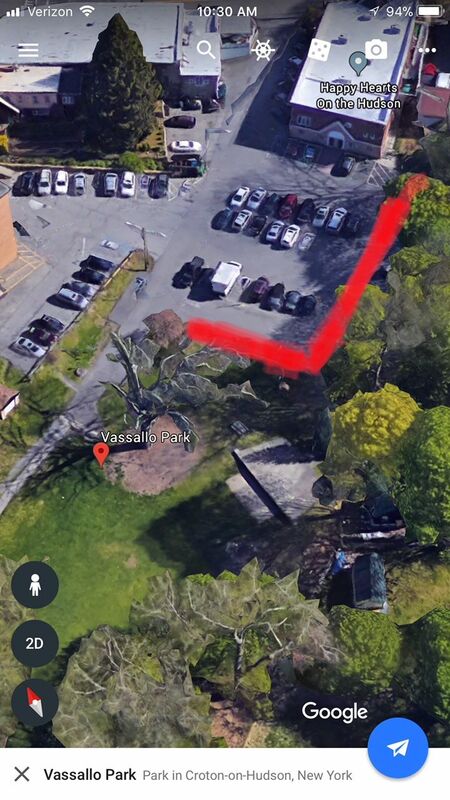 The best address to access our gym is 8 Old Post Road South Croton-on-Hudson, NY 10520. Enter the parking lot behind 8 Old Post Road South. This is also behind the church. Once in the parking lot, go up the ramp. Please be sure to not park in the "Permit Only" spots in the parking lot. In the picture below, these spots are highlighted in red.